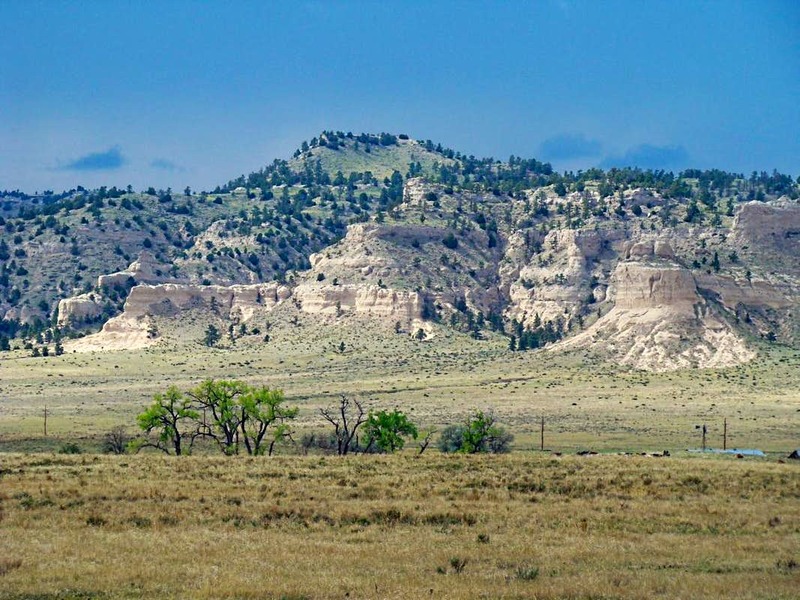 South of the Black Hills and just south of the town of Scottsbluff, Nebraska is another distinct range of topographical relief on the Great Plains. This is the Wildcat Hills, an un-eroded remnant of higher lands that now rises above the surrounding terrain by as much as 1,000 feet. The highest “peak” of the range, Hogback Mountain, tops out at over 5,000 feet. The Wildcat Hills were formed by the erosive forces of an ancient river that sped out of the recently uplifted Rocky Mountains to the west, and carved deep channels in the wind-deposited soils of what is now western Nebraska. Underlying harder rocks contained the flow of the river and resisted much of the erosion. The result is an area with steep cliffs, and fairly rounded gentle summits rising from broad valleys. The hills are forested in many areas, but also contain many open prairie and park lands. Its classic Great Plains scenery, and an enjoyable place to spend some quality outdoor time. 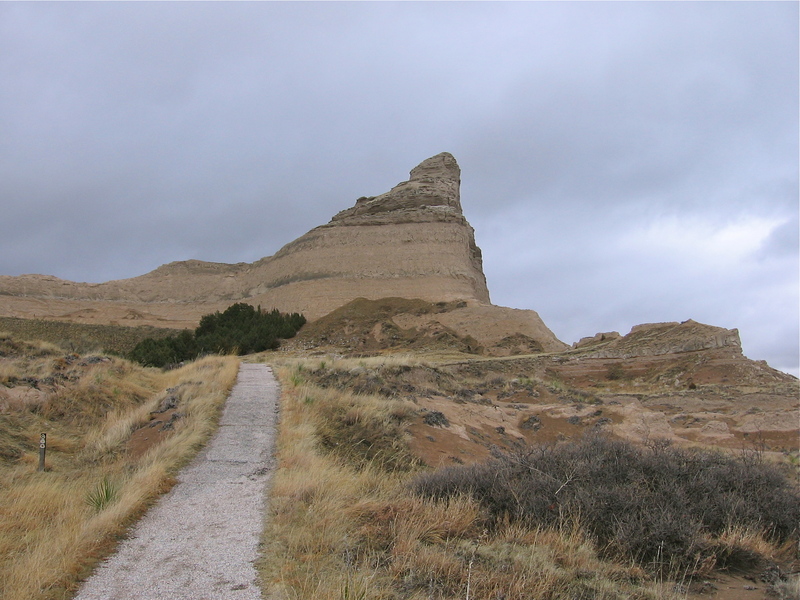 Recreationally, the area is home to Scotts Bluff National Monument, Chimney Rock National Historic Site, Courthouse and Jail Rocks, Wildcat Hills State Recreation Area, and Bridgeport State Recreation Area. This entry was posted in Uncategorized and tagged bridgeport state park, chimney rock, hogback mountain, scotts bluff national monument, wildcat hills. Bookmark the permalink.